Bonnie and Charlie married after a whirlwind affair, but it all ended when Bonnie left with no explanation. Now she’s back and Charlie wants answers, about what happened to them and why she left, but especially about the three children she has in tow. Can they all really make it home for Christmas? As an empty nester, Caroline is feeling lonely this Christmas. When she meets the new veterinarian in town, Joshua Kendall, and his two children, she’s more than happy to invite them to her library for a holiday program. Joshua’s children seem to have little interest in celebrating, but Caroline is determined to put smiles on their little faces, and to make Joshua find joy in life again. Brant and Hope found love the second time around, but now their farm is struggling and it’s taking a toll on their relationship. Hope’s daughter has asked for one thing for Christmas, but Brant is certain it’s something they can’t afford. There is a new baby on the way, and he’s worried about more than just the farm. 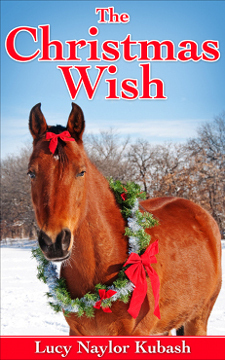 Will they find a way to rekindle their love and still make the Christmas wish come true? Certain to get you in the Christmas spirit, here are three heartwarming stories about love and family and finding joy in the Season.